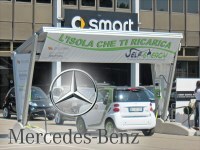 During 2011 Mercedes-Benz organised a tour to present Smart Fortwo, the new 100% electric car. 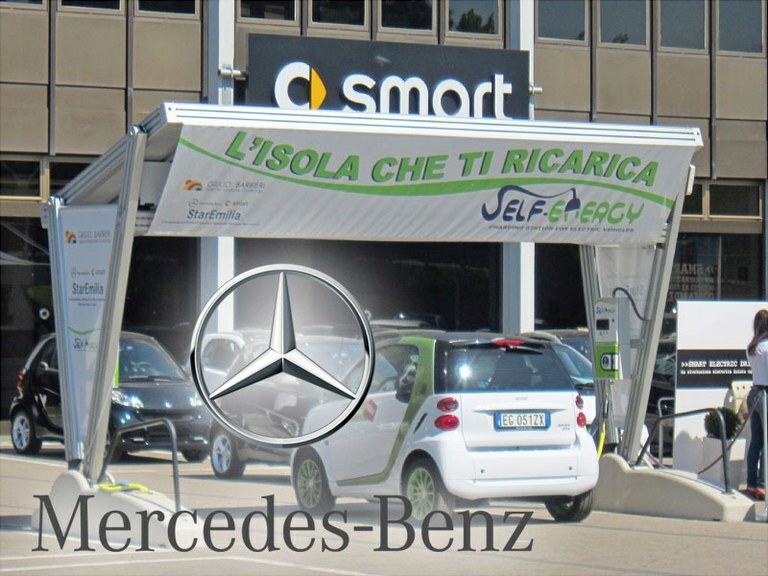 The electric vehicle charging station Self-Energy by the company Giulio Barbieri S.p.A. accompanied the Bolognese launch. The easy installation needs no foundation works and makes the evse Self-Energy an innovative structure. The importance of electromobility is out of question. The future belongs to electric vehicles, as they better interpret the need of sustainability. 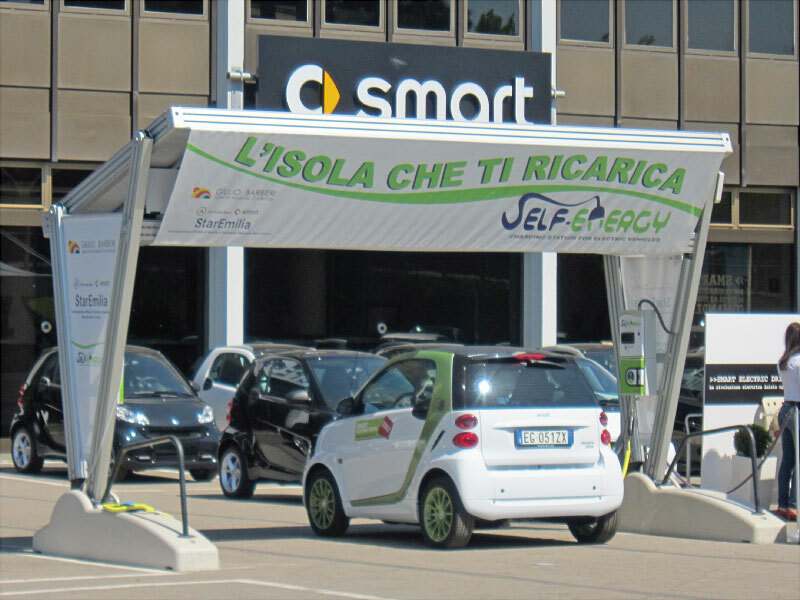 In respect of environmental resources the company Giulio Barbieri conceived and manufactured a photovoltaic ev charger, which draws energy from the sun and it is at the same time connected to the electrical grid to supply energy to vehicles of any kind 24 hours a day. The solar evse has a wide PVC fabric surface which can be easily replaced and customized with high visual impact graphics and logos. Zero emission driving is possible now with Mercedes-Benz and Giulio Barbieri. Pictures are referred to the installation at the StarEmila car dealership in Casalecchio di Reno (Bologna).